Laying on the floor next to bed with agonizing cramps. 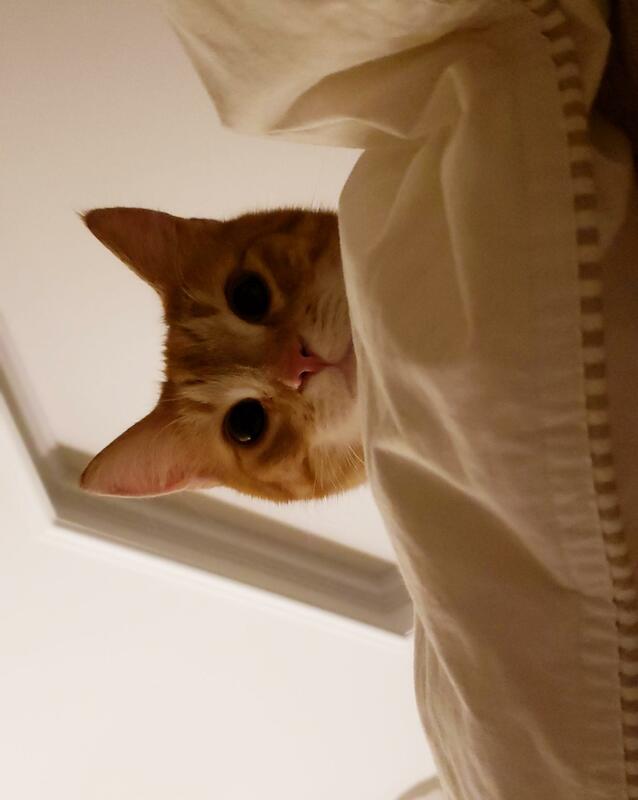 Open my eyes to this guy checking on me. I don’t have kids so I threw my kitties a birthday party. My kitten Oscar having a sleep.